Today's Punta de Lobos sea temperature is 15.3 °C. The water temperature (15 °C) at Punta de Lobos is quite cool. If the sun shines as we have forecast, it should feel warm enough to surf in a good spring wetsuit. Effective windchill factor of (15 °C) will make the air and water feel about the same temperature. Below is a graph of Historical Sea Surface Temperature for Punta de Lobos. This has been derived from analysis of two decades of oceanographic satellite measurements of nearby open water. We have calculated the average water temperature variation around the year as well as the extremes that have been observed on each date. 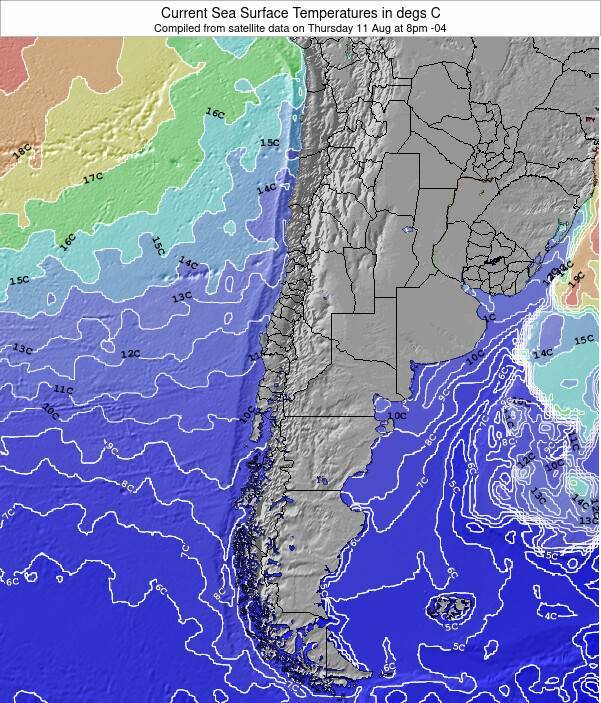 Punta de Lobos water temperatures peak in the range 16 to 18°C (61 to 64°F) on around the 1st of March and are at their coldest on about the 14th of August, in the range 12 to 14°C (54 to 57°F). The highest seasonal water temperatures at Punta de Lobos at the beginning of March lend themselves to a 4/3mm wetsuit or a 3/2mm suit and 3mm neoprene boots. The coldest water temperatures at Punta de Lobos in mid August are ideally suited to a 4/3mm wetsuit + 3mm boots, although a 5/3mm wetsuit may be preferable for longer sessions and cold windy days. 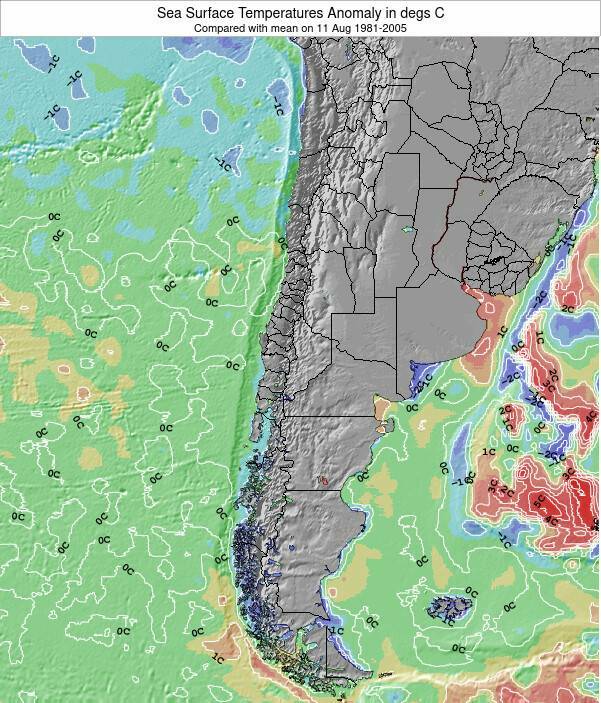 Actual sea surface water temperatures close to shore at Punta de Lobos can vary by several degrees compared with these open water averages. This is especially true after heavy rain, close to river mouths or after long periods of strong offshore winds. Offshore winds cause colder deep water to replace surface water that has been warmed by the sun. Air temperature, wind-chill and sunshine should also be considered before deciding on the kind of wetsuit needed to stay warm when surfing at Punta de Lobos. Refer to our detailed weather forecasts for this information.